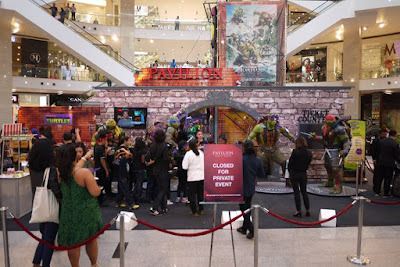 The event kicked off with an adrenaline-pumping performance by the Teenage Mutant Ninja Turtles: Out Of The Shadows – Parkour performers, followed by the unveiling of the Ninja Action Zones by Ms Kung Suan Ai, Director of Marketing for Pavilion KL, who cut through the ‘caution’ tapes into the Zones in true New York City style. The crowd were then welcomed into the Ninja Action Zones by real-life Ninjas and ‘little Ninjas’ – children from Lighthouse Children Welfare Home Association, to enjoy the different fun activities. 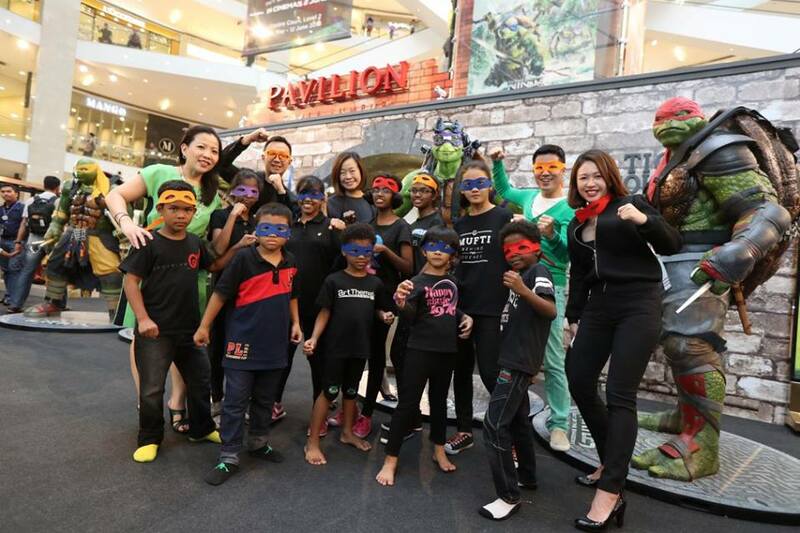 Lighthouse Children Welfare Home Association was invited by the mall to be the first ones to enjoy the Ninja Action Zones, as part of the mall’s corporate social responsibility efforts to reach out to the community. 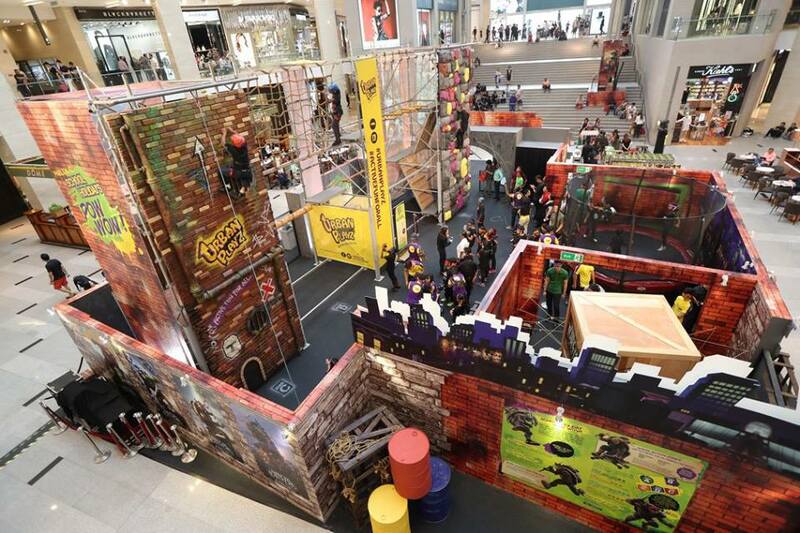 All guests were treated to delicious Auntie Anne’s treats and juices from Juice Works while they put their agility and courage to test at the Ninja Action Zones. 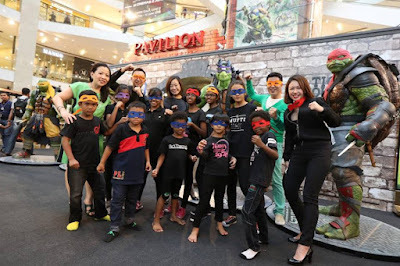 The ‘little Ninjas’ from Lighthouse Children Welfare Home Association were even treated to dinner at Fish & Co. at level 4, Connection, as reward for their bravery at the Zones. 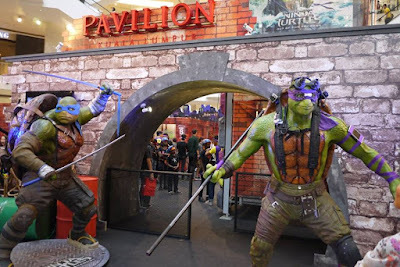 “The school holidays are a great time for families and at Pavilion KL, we are always looking to present events that can create a memorable shopping experience for all age groups in the mall. We offer our shoppers an immersive experience by celebrating the Teenage Mutant Ninja Turtles: Out Of The Shadows movie with the first ever display of Leonardo, Raphael, Donatello and Michelangelo and the Ninja Action Zones. As an award-winning mall, we will continue to present first-of-its-kind experiences to our shoppers that set us apart from others,” said Ms Kung Suan Ai. Receive a free Ninja Action Zone Ticket with RM300 spent in a single receipt at specialty stores. Redemption at Porte Cochere Concierge, level 2. Valid for first 50 redemptions per day from Monday – Thursday and first 100 redemptions per day from Friday – Sunday. Maximum of one redemption per shopper daily. Limited to one redemption per receipt regardless of receipt amount. While stocks last. Other terms & conditions apply. 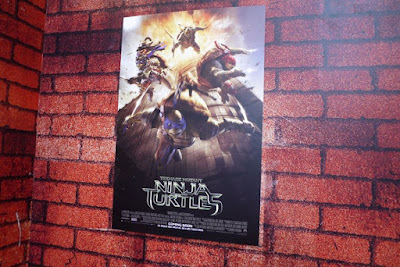 Check out the limited edition merchandises! 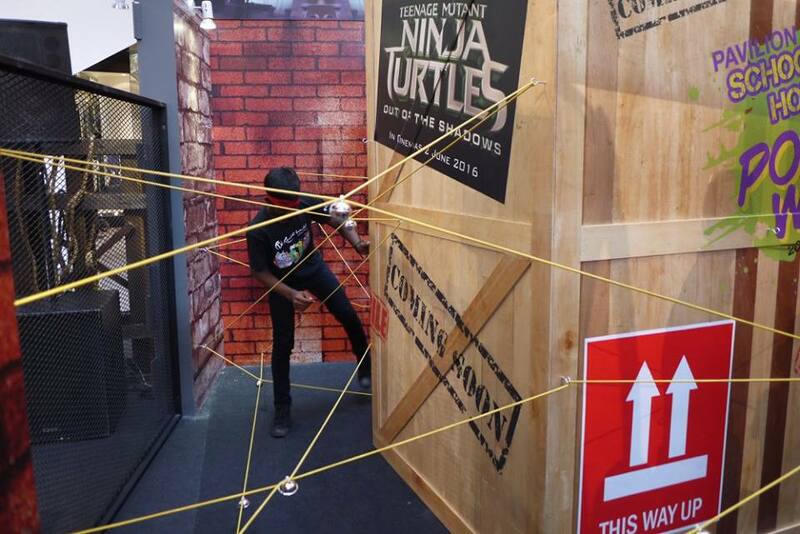 First 100 shoppers will bring home a piece of Turtle Power with RM100 spent at this pop-up store! 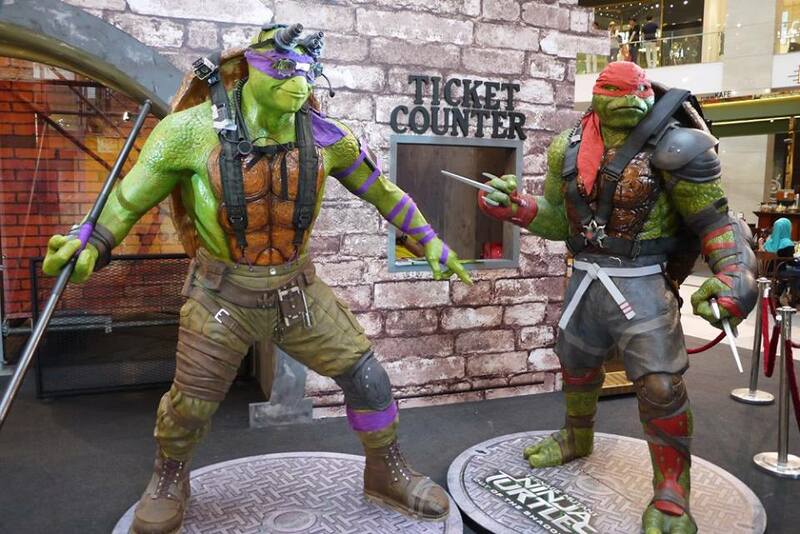 Discover the complete story of the Teenage Mutant Ninja Turtles over the past 30 years, from their first comic book to their latest blockbuster movie, at Centre Court! Spend RM100 in a single receipt to receive free Pavilion Junior membership where you can enjoy exclusive discounts, treats and special invitation to the coolest parties in town. Registration at Porte Cochere Concierge, level 2. Valid for kids from ages 4 to 12 years old. Go underground and join Leo, Raph, Donnie and Mikey in a crime-fighting party! Sign up as a Pavilion Junior member and get invited to this awesome event. 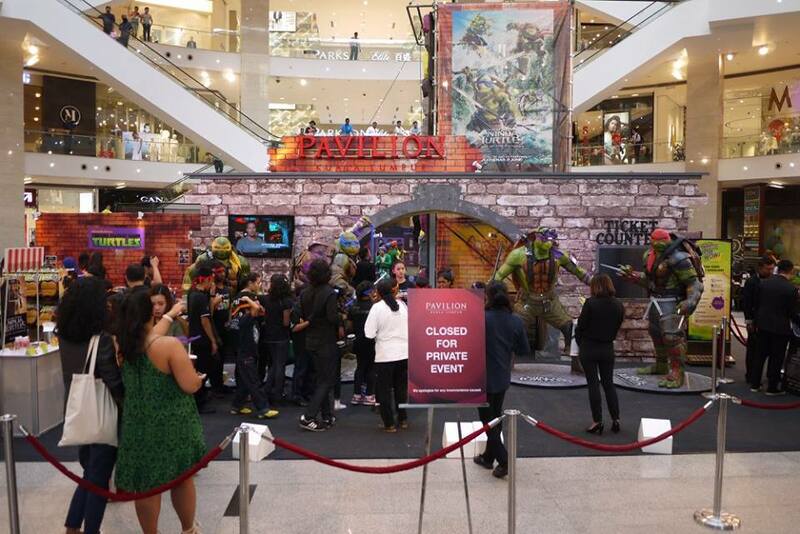 Shoppers can visit the Pavilion KL website www.pavilion-kl.com and blog www.pavilion-kl.com/pavsays for more updates on family-friendly offers, activities and happenings this school holidays. 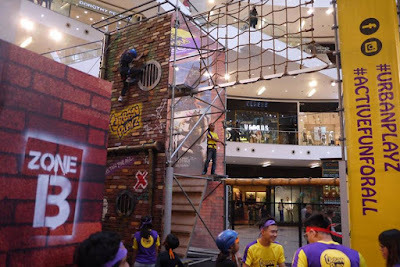 They can also check real-time updates on Pavilion KL’s Facebook page at http://www.facebook.com/PavilionKL, Twitter page at www.twitter.com/Pavilion_KL, Instagram account at www.instagram.com/PavilionKualaLumpur or contact Pavilion KL’s Concierge at 03-2118 8833.